A place to relax where everybody is welcome. We only use self-made products from traditional businesses in our region. This way, we can ensure top quality and make a conscious contribution to the sensible cultivation and maintenance of our great, rich World Cultural Landscape. Visit our garden with a view of the Danube or enjoy our wines and culinary art in our traditionally furnished “Heuriger” Tavern. 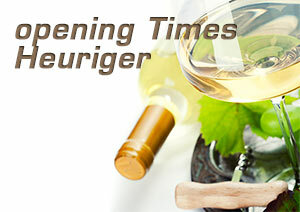 „Ausg’steckt is’“ is a Wachau idiom, meaning that the “Heuriger” is open – we hope to see you soon, when you stop by for a glass of Pammer wine.